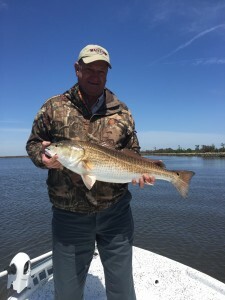 Mr Larry with a great red. What a hard day of fish it was. We went down swinging. “Biggest fish he ever caught” with Thomas Morstead!